It happens in the kitchen often. All sorts of food is made in kitchens all over the world daily. Greasy burgers, butter for eggs splattering all over, even frying chicken. All that grease makes a huge mess. Grease that splatters all over the walls, the stove top, and even the counters. Nasty, scummy, grease splatters. It’s not a fun thing to clean, is it? If you have greasy stove tops, or soap scum you can’t seem to get rid of, stay tuned. 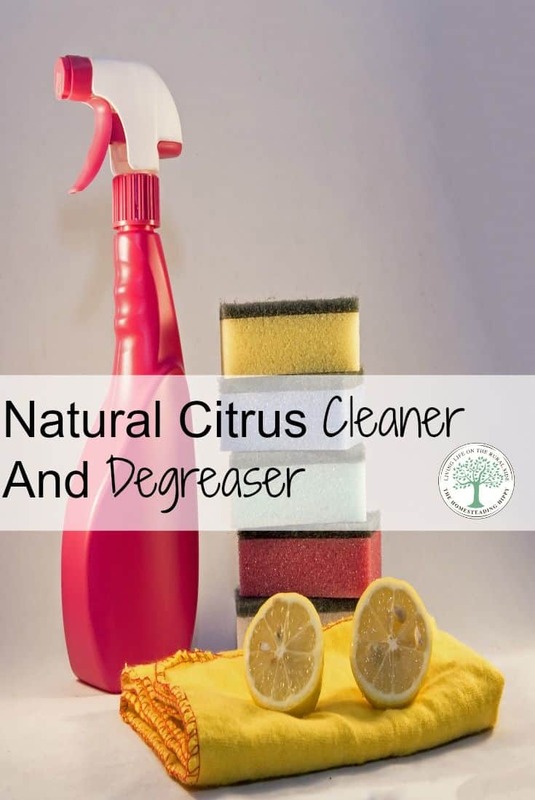 I am going to share with you a natural citrus cleaner and degreaser that WILL work wonders! I never thought it would work, using vinegar as a cleaner. Honestly, I was so skeptical, I am not even sure what drove me to try. Perhaps simply morbid curiousity. But, try it I did, and I am happy to share with you the results! Besides, what else do you do with those orange peels? You make this vinegar cleaner recipe with things that you would normally throw out! How cool is that, really? This is one homemade vinegar cleaner that smells good. Oh, soooo good. Put the peels from 5 citrus fruits (orange, lemon, lime, or grapefruit) into a quart jar, packing it tight. Allow to set in a sunny place for 5-7 days. Strain the peels, saving the liquid. Pour liquid into 32 ounce squirt bottle. Fill remaining space in bottle with water. Using vinegar as a cleaner is amazing for baked on, greasy messes, too. It cuts through grease and grime like nobody’s business. To make it even more powerful, you can add 1/2 cup of borax to the spray bottle and swish it around to dissolve. 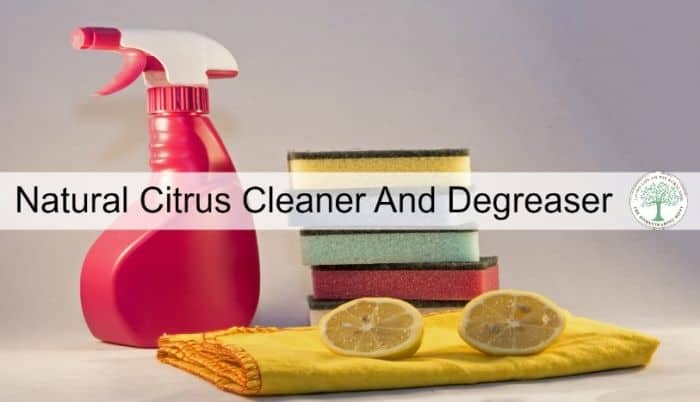 This will help cut through grime and baked on grease even faster than the citrus cleaner alone. I like to use the grapefruit infused vinegar as a cleaner in the bathroom because it has a light and fruity scent. The orange cleaner also works really well to mop floors, kill mold and clean windows. As a matter of fact, I haven’t found anything that this vinegar all purpose cleaner doesn’t clean well. Have you made your own citrus vinegar as a cleaner before? How did you like it? Be sure to pin this for later! Hi Heather! Such a great idea! I’m assuming the vinegar you use is white vinegar, right? I want to try this for sure. I love the smell of citrus fruits, and it sounds like it’ll clean almost anything. Pinning this one. Thanks! Hi . Would apple cyder vinegar work for this aswell?